Click on the image above or the link below to view or download. 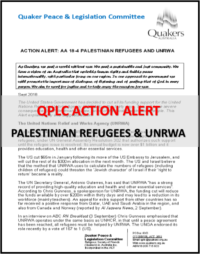 QPLC Action Alert: No Expansion of the War Memorial! Copyright 2019 Canberra Regional Meeting. All rights reserved.